In this guide we are going to do a comparison of 14 SEER vs. 16 SEER air conditioners and find out which one is better in terms of energy efficiency. Air conditioning is a very important part of being able to stay comfortable in your home. Depending on where you live, you may wind up using your air conditioner for a large portion of the year. If you can’t stand the hot weather, then you need to have good air conditioning to ensure that you can remain in a suitable environment. You don’t want your energy bills to skyrocket due to your use of the air conditioning, though. When you are looking into installing an energy-efficient air conditioning unit, you will notice that there are several options. Saving money on your energy bills at the end of the month is likely going to be your end goal. In order to achieve this, you should try your best to pick out an AC unit that is the most energy efficient. For many people, this choice is going to come down to 14 SEER vs. 16 SEER. Determining which of these types of air conditioners is going to give you the best savings possible will involve examining the situation thoroughly. You need to look things over and determine the amount of savings that you will see on a yearly basis. You will also likely want to factor in the overall cost of the air conditioning unit, being that 16 SEER options are generally more expensive. In order to move forward with the calculations, you need to be able to determine the estimated yearly energy consumption of the air conditioners. Admittedly, it is going to be close to impossible to get a 100%-accurate estimate of what the actual costs will be. There are too many factors to consider and you don’t know information such as how often you are going to be running the air conditioner. That being said, it is still possible to give yourself a good comparison between the two different air conditioners that you are looking into. You just need to estimate the number of hours that you will be using the air conditioning and then use the same number for both units. There is a simple equation that you can use to estimate the costs of running an air conditioner for a certain number of hours. You take the size of the air conditioning unit and multiply it by 12,000, which is the number of BTUs. 12,000 BTUs are going to be capable of providing one ton of cooling to your home. This is all going to be multiplied by the average number of hours that most people tend to use their air conditioners, which is set at 2100 for the purposes of this equation. The equation is actually going to be very simple so don’t worry too much if you are not a math whiz. Note that these numbers are rounded to the nearest thousand and that they represent the total watt-hours that you can expect. You can see that the 16 SEER unit has substantially fewer watt-hours when compared to the 14 SEER model. This means that the 16 SEER model will be using less energy when it is operating for the same amount of time. It gives you a good indication that it will save you a bit of money in the long run even without going through the next several bits of information. Taking a look at the differences between the two units further will reveal that there is a difference of 675,000 between the two numbers. It is obvious that the 16 SEER unit is capable of operating while using less energy. The amount of energy used isn’t incredibly different, though. It is not a dramatic difference between the two units, meaning that both are very viable options for you to consider. And today, the federal government mandates that all new ACs should be at least 14 SEER, which makes it the current baseline in terms of energy efficiency. Even so, many people want to be able to keep their carbon footprints as low as humanly possible. Saving energy is a very noble endeavor so it is something that has the potential to really appeal to you. If you want to save the most energy possible on a yearly basis, then the 16 SEER unit is going to be much more capable. Either of these modern air conditioning units is going to be an upgrade if you are using older types of AC, though. These two air conditioning units are very similar, which is why there is so much debate about which one to go with. You can see that the differences between them are there but the gap is not so wide that it makes things easy to determine. You really have to dig into the facts to get to the core of the situation. Figuring out which air conditioner is going to be the best investment is going to be about seeing how much you can save every year and then thinking about other factors as well. In order to get a legitimate number for how much money you can save on your energy bills, you will need to convert the watt-hours of your unit to kilowatt hours. This is actually fairly simple as you just need to divide it by 1000. This will give you a 675-kilowatt hour difference between the two units. You can figure out how much you would be charged for this amount of energy consumption by looking at the rates for your local power company. A typical rate would be around $0.12 per kilowatt so using that number, you can come up with your savings amount. 675 multiplied by 0.12 comes out to 81. You will save 81 dollars per year when using a 16 SEER air conditioning unit instead of a 14 SEER one. Figuring out whether or not this amount of savings is substantial enough for you will depend on your situation and expectations. Being able to make a choice that is slightly better for the environment may be a good way to nudge yourself towards getting the 16 SEER air conditioner. If you want to be able to have the least amount of impact on the environment as possible, then lower energy consumption is always going to be preferable. Regardless, the minor savings are still nice and if you can get a good deal on a 16 SEER unit, it might even be worthwhile from a financial perspective. Is Getting a 16 Seer Air Conditioner Worth the Investment? Whether or not the 16 SEER air conditioner is worth the investment will come down to your personal preference. You need to consider the overall cost of the unit as well as the total savings that you will be receiving. As noted above, the differences in savings on a yearly basis will be fairly minimal. A 16 SEER air conditioning unit will save you more money than a 14 SEER unit but it isn’t such a large difference. Determining which air conditioner you should choose will come down to the overall price of the units and your expectations. Over time, a 16 SEER air conditioner could pay off for you but it really comes down to how long you expect to use it. Most of these air conditioners are rated to have a lifespan of at least fifteen years. So if you used the 16 SEER unit for that entire period of time, then you would certainly come out ahead by a little bit. Even so, is it going to be worth a larger initial cost to get the 16 SEER unit? It is very likely that a 14 SEER unit will be slightly less expensive than a 16 SEER one. In some cases, you will be able to purchase a 14 SEER air conditioning unit for several hundred dollars less than a 16 SEER model. Do you want to invest in long-term savings and energy efficiency or would you rather have a lower initial cost? This is a question that only you can truly answer. You need to weigh all of your options and think about what is going to be the most appealing situation to you. Take the time to look for the best prices for the different 14 SEER and 16 SEER air conditioners. Once you have found a price range that is suitable for your budget, you can make your ultimate decision. If the cost of the two units is close enough to make it practical, then it will be an easy decision to go ahead and purchase the 16 SEER unit. It just depends on how wide that price gap is between the two different models. 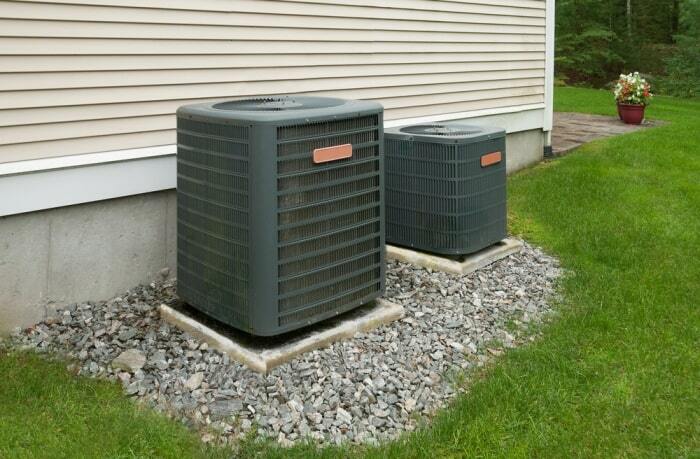 No matter which type of air conditioner it is that you decide to go with, you will be getting a fairly efficient unit. Even though the 16 SEER air conditioner is more efficient than the 14 SEER one, both are still seen as good options. You can save a bit of money initially by going with the 14 SEER AC unit or you can have lower energy costs and save money over time by using the 16 SEER unit. Whatever your decision is, you’ll be able to stay cool during the summer and you will not have to worry about your power bills being too high. When To Use A Dehumidifier Winter Or Summer?